A farm profit seminar is scheduled for Wednesday evening, March 20, 2019, at Lyndon High School, 421 E. Sixth St., Lyndon, Kan. Coordinated by the 580 WIBW Farm Department, the educational and entertaining program is planned in cooperation with the Frontier Extension District. Activities kick off with doors opening at 5:30 p.m. for attendees to visit the displays of a couple dozen event sponsors. Supper is complimentary of those sponsors, but reservations are required by calling 785-828-4438. First speaker of the evening will be Mary Knapp, climatologist from the Department of Agronomy at Kansas State University, Manhattan. She’ll present a spring weather update and outlook for crop growing conditions. 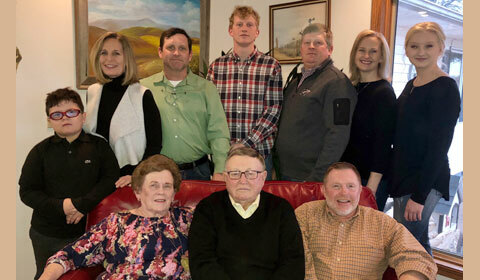 LYNDON, Kan. – U.S. Department of Agriculture Farm Service Agency Executive Director Rachel Parker, in Osage County, has announced that producers who suffered livestock losses due to natural disasters, including extreme cold temperatures, may be eligible for the Livestock Indemnity Program. LIP compensates livestock owners and contract growers for livestock death losses in excess of normal mortality due to an adverse weather event, including hurricanes, floods, blizzards, disease, wildfires, extreme heat and extreme cold. The payment rate is based on 75 percent of the average fair market value of the livestock. The Frontier Extension District has announced two ag related meetings next week at Ottawa; one will provide information on land and leasing and the other will be workshop on prescribed burns. 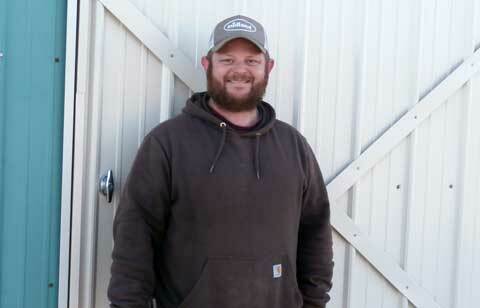 The land and leasing program, scheduled for 7 p.m. March 4, 2019, at Celebration Hall, 220 W. 17th, at the Franklin County Fairgrounds, in Ottawa, will feature Mykel Taylor, KSU agricultural economist, as the evening’s featured speaker. Taylor will discuss current land values and trends she is seeing. She will also discuss rental rates and where they might be headed in 2019. Other topics will include lease agreements, and the importance of landlord/tenant relationships and communication. The prescribed burn workshop will be 9:30 a.m.-3 p.m. March 6, also at the Franklin County Fairgrounds, Ottawa. As native grass acres continue to decrease, prescribed burning activities and the use of fire remains an important maintenance tool. Prescribed burn users need to properly identify their objectives and know how to conduct a burn. Commonly identified prescribed burn objectives range from improved animal performance, grazing distribution problems, invasive woody species, fuel loading or extensive loads, to wildlife habitat management. Those planning to conduct a prescribed burn are encouraged to attend this workshop. Registration fee is $10 per person to cover materials. Preregistration is required by calling the Franklin County Conservation District at 785-241-7201. Lunch will be served. The workshop is hosted by Franklin County Conservation District, KSU Research & Extension, USDA, Frontier Extension District, and Franklin County Emergency Management. For more information about these meetings, contact Rod Schaub, Frontier Extension District agent, at 785-828-4438. An election for USDA’s Farm Service Agency’s Osage County Committee is underway. Every eligible producer is encouraged to participate in these elections because FSA county committees are a link between the agricultural community and USDA. The 2018 election in Osage County will be conducted for the representative of Local Administrative Area No. 2, the northwest corner of the county west of U.S. Highway 75, and north of 237th Street. 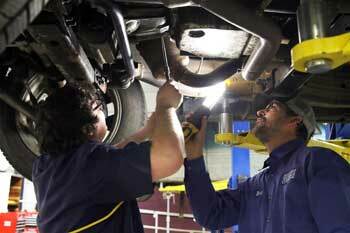 County committee members are a critical component of FSA operations. Committees should be comprised of members who reflect the diversity of producers involved in production agriculture in Osage County. This means that producers representing under served groups or communities should be on the committee to speak on behalf of their constituency. Under served producers are beginning, women and other minority farmers and ranchers and land owners or operators who have limited resources. Other minority groups including Native American and Alaska Natives, persons under the poverty level, and persons that have disabilities are also considered under served. County committee election ballots were to be mailed to eligible voters on Nov. 5, 2018. The last day to return completed ballots to the Osage County USDA service center is Dec. 3, 2018. 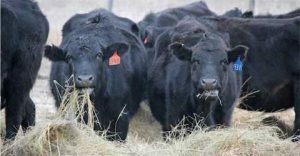 “Options for Feeding the Cowherd” and “Livestock Thefts in Kansas” will be the topics covered at a beef meeting at 7 p.m. Nov. 27, 2018, at the Overbrook Livestock Commission Company, 305 W. First St., Overbrook, Kan. This summer’s drought and the lateness of spring have left many producers short of hay for the winter feeding period. The hay shortage coupled with droughty pasture conditions has led to more corn being cut for silage than any time in the recent past. Questions have come up, like, “What’s the best way for me to feed my cows through the winter?” “Do I limit the time they can eat hay?” “Can I put them on grain?” and “How much silage should I feed?” Jaymelynn Farney, KSU beef systems specialist, will discuss these items and many more. The second topic of the evening will be “Livestock Theft in Kansas.” Kendal Lothman, special agent with the Kansas Attorney General’s Office assigned to the Livestock and Brands Investigation Unit, will be on hand to discuss his role in livestock theft investigations. He will explain how he becomes involved in an investigation. He will also describe case trends, such as when most thefts are reported and how the cattle market affects his case load. Lothman will also give producers ideas of what they can do to reduce the risk of cattle theft. Time will be allotted at the end of the presentations for questions. For more information about the meeting, call Rod Schaub, Frontier Extension District agent, at 785-828-4438, or email [email protected]. A meeting has been scheduled for 7 p.m. Nov. 13, 2018, at the community building in Garnett to discuss the benefits that a local prescribed burn association could have in the community. Local producers are encouraged to attend the meeting and discuss the benefits of burning, the challenges of burning, and learn how a prescribed burn association can assist in conducting a safe prescribed burn. Grasslands constitute significant economic, biological, recreational, and aesthetic resources of statewide importance. Fire is essential to the maintenance and improvement of a large percentage of these acres. There are many benefits to conducting prescribed burns on grasslands every three to five years, including invasive species management, wildlife habitat improvement and improved grassland health. Working together as a prescribed burn association, landowners can achieve more successful and safer burns. According to the Kansas Prescribed Fire Council, more than 95 percent of burns conducted by trained and cooperating association members stay within designated boundaries and less than 1 percent require fire department assistance. Prescribed fire is a safe way to apply a natural process, ensure ecosystem health, and reduce wildfire risk. No other tool can so effectively remove the hazardous buildup of wild land fuels. 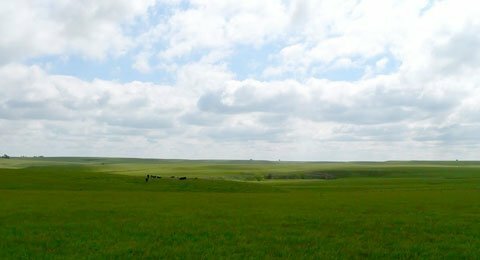 Tallgrass prairie in the Kansas Flint Hills. Photo USFWS. The Kansas Conservation Awards Program, sponsored by the Kansas Bankers Association, will once again be held in Osage County. The KBA, K-State Research and Extension, and the Kansas Department of Wildlife and Parks and Tourism have established six award categories, including energy conservation, water quality, water conservation, soil conservation, windbreaks and wildlife habitat. The purpose of the program is to stimulate a greater interest in the conservation of agricultural and natural resources of Kansas. Each year more than 200 Kansas producers and landowners are recognized through this program. Nominations for these awards can be made by any person in the county. Information about these awards can be picked up at the local Extension office or by visiting the K-State Research and Extension website: www.agronomy.kstate.edu/extension. Nomination forms are available at the Osage County Conservation District office or the Frontier Extension District office in Lyndon, the Bank of Burlingame or the Bank of Osage City. Or contact the Extension office at 785-828-4438 for a nomination form to be mailed to you. Nomination forms should be completed and returned to the Frontier Extension District, PO Box 400, Lyndon, KS 66451, by Oct. 31, 2018. Upon receipt of the nomination forms, a committee chaired by Rod Schaub, Frontier Extension District agent, will select this year’s winners. 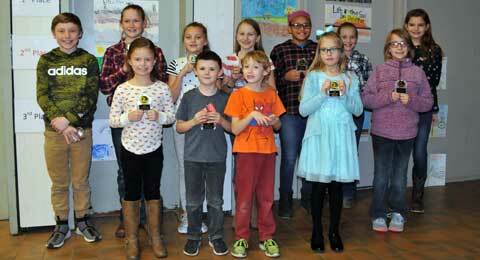 Winners will be recognized at the Osage County Conservation District’s annual meeting. There will be a raffle table with drawings for some awesome craft beer related items. Every taster will get a sample glass to take home. Event will be 4-7 p.m. Sept. 29, at the Osage City fairgrounds pavilion. Ticket sales benefit the Osage City Chamber of Commerce, which in turn benefits The Warmth Fund, ECAT, college scholarships for high school seniors, and the July 4 fireworks, among others. Advance tickets are $25 with tickets at the gate $30. Tickets are available at Jerry’s Thriftway, Stark Car Wash, Bank of Osage City, all in Osage City, or Mulready’s Pub, Emporia, and online at brownpaperticket.com All attendees must be at least 21 years of age. The Osage City Chamber of Commerce has selected Robert and Cheryl Shaffer’s yard as the Osage City’s Yard of the Month for the month of September. 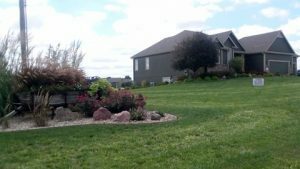 With the assistance of Mother Nature providing the area some much needed rain, Robert and Cheryl’s yard in Osage City became green again along with their beautiful and intriguing landscape areas. Their home is located at 849 Romine Ridge, Osage City. September marks the fourth and final month of the Osage City Chamber of Commerce’s recognition of the “Yard of the Month” for 2018. Recognition is given during the period of June through September. ECKAN Osage County has partnered with Housing and Credit Counseling Inc. to offer a free informative class on budgeting, emergency funds, savings, handling debt, credit scores, impacts to financial security, and dealing with collections. This program is open to individuals whose income is under 125 percent of the federal poverty level and space is limited to 25 people, who must qualify to attend. Proof of income prior to attending class is required. The class will be 5:30-7:30 p.m. Thursday, Oct. 18, 2018, at the Osage City Public Library, 515 Main St., Osage City. Attendees will receive a light meal and Osage City Chamber Bucks for attending. For more information or to qualify for the program, contact the ECKAN office at 785-528-5184, 530 Holliday St., Osage City, or [email protected].